A typical Desi’s choice of primary car in US is a Japanese model. Accord is at believed to be at the top of the list of most owned cars by Desis in US. Toyota Camry is perhaps a close second. You heard the news. 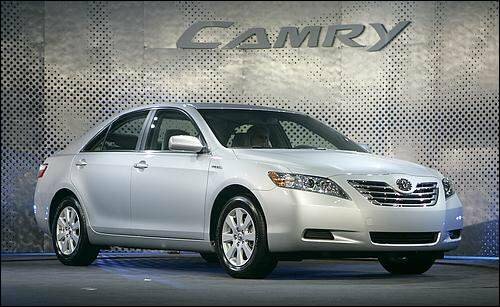 Toyota is not only recalling 2.3 million vehicles, but entirely stopped selling several models – including the Camry. For sure your Camry’s resale value might have dropped in double digit percentage points in one day. We own Toyota Camry and we are not worried. What about you? If you own a Toyota, are you worried? What is your next car? Honda? Toyota? GM? Ford? btw…………..which year models did toyota recalled………. lots of my frnds bought camry…..in the last 4 yrs…………. I owned 4 Hondas in the past few years (Yes four , got two of them stolen). Both Toyota and Honda do good cars , but my choice is Nissan Maxima. Simply because their V6 engines are way better than Honda and Toyota. They have timing chain rather than Timing belt , which needs to be replaced at 190K miles and last longer than the Accord and Camry. Overall , Toyota’s product are more refined of the three (close panels, tight insulation, smooth engine growl though they miss the door close thunk found in German cars). But this recall is a shocker. What do ya expect they are now the new GM. My present car is Honda civic . But when some one ask me what is my next car.. I am sure it is a set back for Toyota. So far I am Honda lover and next upgrade for me will not be any of Japanese models.